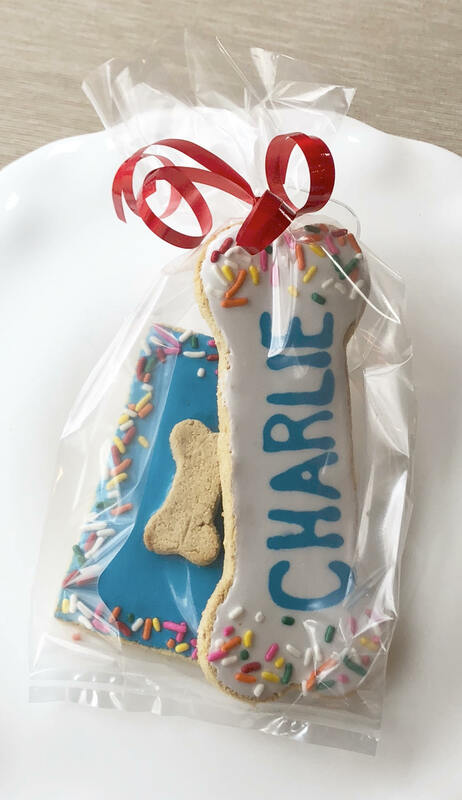 Celebrate your pup's birthday with these personalized treats! 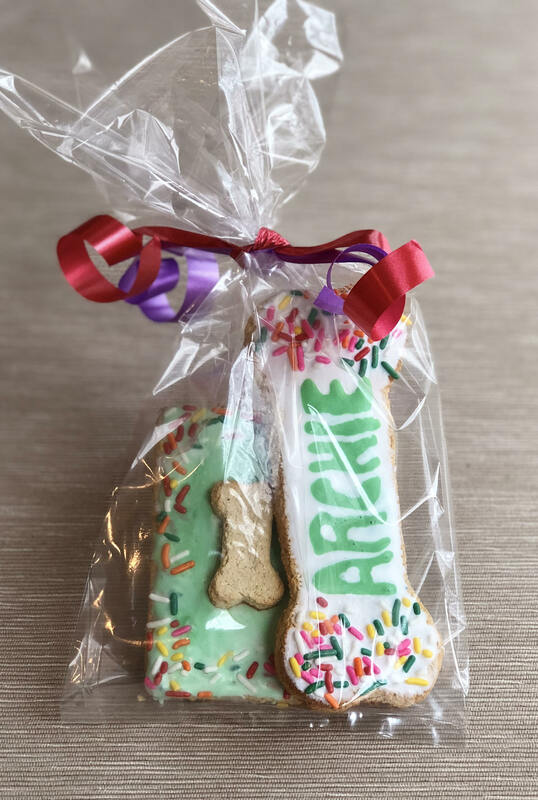 Each bag contains a large 5" bone shaped treat with your dog's name and a cake shaped treat topped off with a bone and sprinkles. 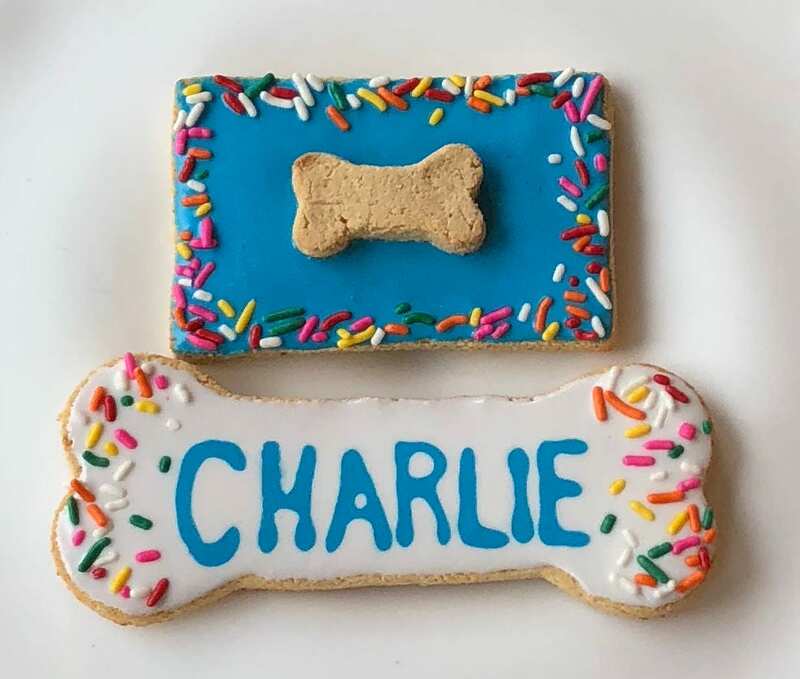 They are GRAIN FREE and great for pups with allergies.